In a recent interview with Financial Sense, Renaissance Macro's Neil Dutta made his case for a slightly optimistic outlook on the US economy in 2016. Pushing back against concerns that problems in the manufacturing sector are the beginnings of a recession, Dutta sees economic growth returning to an average of around 2.5% with recession unlikely for the next 12-18 months. This does not come without risks, however, as Dutta noted deflationary impacts from possible further declines in China's currency. 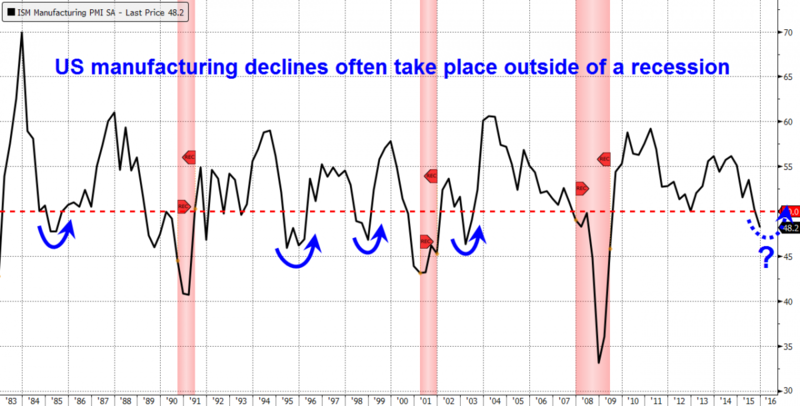 Dutta first pointed out that declines in the manufacturing sector are not a reliable signal for US economic recessions. Many times in the past, he noted, we've seen US manufacturing contract without a broader contraction in the economy (see chart below). After a brief discussion of the underlying trends, Dutta cited reasons to think manufacturing would be back in positive territory by the second quarter of this year. 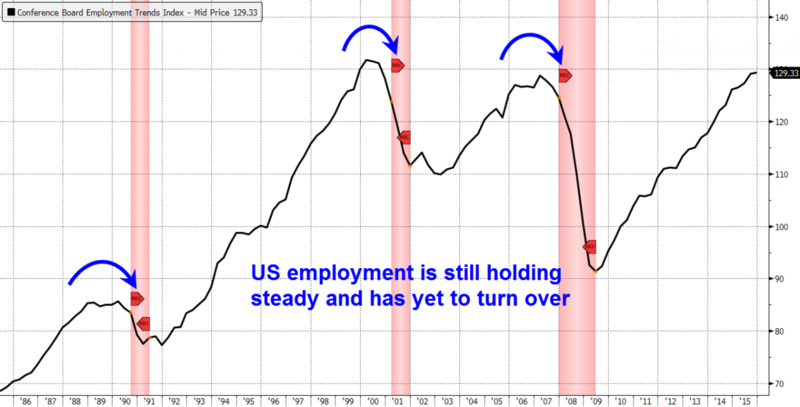 Dutta believes an imminent US recession is difficult to justify when looking at US labor market data (see chart below). He contrasted this period with the crisis years of 2007 and 2008 and pointed out that in past economic expansions when the labor market has been this close to full employment “the contribution from housing is fading” while “you typically get tight fiscal policy.” In Dutta’s view, this and other factors he cited during the interview mean a US recession is unlikely for at least another 12-18 months. Listen to this full interview with Renaissance Macro's Neil Dutta, by logging in and clicking here. For a complete archive of our broadcasts and podcast interviews on finance, economics, and the market, visit our Newshour page here or iTunes page here. Subscribe to our weekly premium podcast by clicking here.